Swish Building Products has unveiled a new range of grey roofline profiles and window boards. The new coloured range of Light Grey, Hazy Grey and Gale Grey includes 16mm square fascia, 9mm soffit and 9mm cover boards in various depths with matching corners and joints, all featuring a 10 year guarantee. The new greys in addition to Anthracite (black) join the wide range of colours and foiled boards already offered by the low maintenance building products specialist, and are available through Swish stockists. 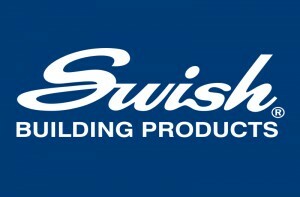 For more information on Swish’s full range of roofline, rainwater and cladding products and to find out your local stockist please visit www.swishbp.co.uk or call 01827 317 200.